Visitors are invited to a special performance – 'La serva padrona' (Servant Turned Mistress), which will be shown in the Royal Theatre as a marionette opera. Almost one metre tall marionettes will 'act' – brought to life with the hands of animators and voices of outstanding soloists. The 'La serva padrona' opera had its premiere in the Royal Łazienki in February of 2016. Owing to its popularity, it will be performed again to inaugurate a new series – 'Marionette Theatre'. 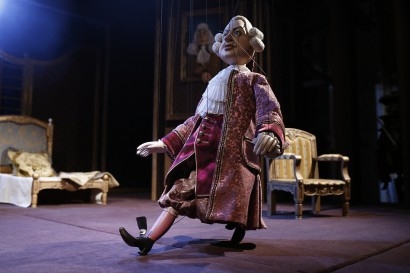 The performance – presented by the Marionette Scene of the Warsaw Chamber Opera – will take place on 14 January at 5:00 p.m. in the Royal Theatre. Tickets are available in the ticket offices of the Royal Łazienki (PLN 60 – standard ticket; PLN 30 – student ticket).